Could The Nokia Booklet Cost Nearly $800? More potential details regarding Nokia's recently announced netbook have surfaced online, possibly hinting at what the device could cost. 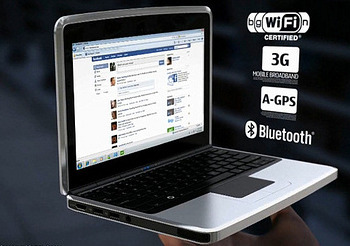 A report from NetbookNews claims that the well equipped 3G enabled Booklet could cost a hefty $799 when it launches--a premium price point for any netbook. Of course this unofficial claim has been made by an "unnamed source", so be sure to label this one under rumor until we know the official details on September 2nd, when the company will host its Nokia World conference. Until then, speculation as to what version of Windows 7 the sleek new netbook will run will no doubt continue, but it's pretty safe to say that we can disregard the Starter Edition.